The “Shuttles” Series are Micronaut vehicles dressed in (sometimes new) stickers and packaging, they also pose kind of a mystery to collectors. While the Superhero colored editions seemed to be prevelant in the UK. 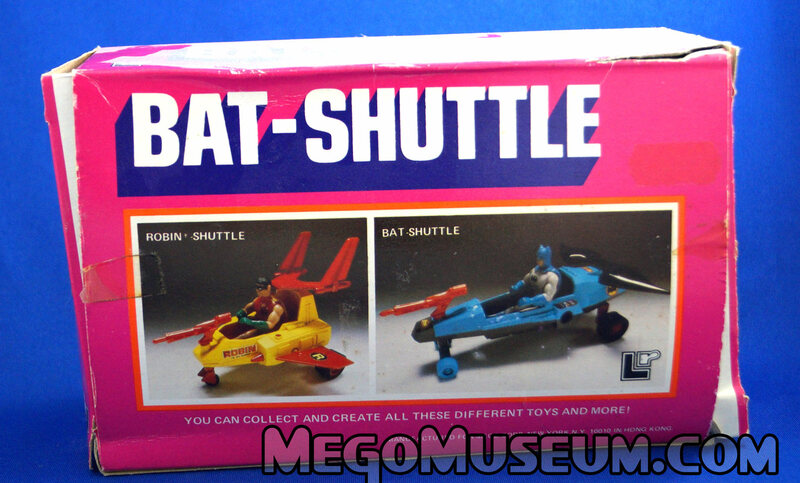 The US got different versions but both series of shuttles are missing one thing, the Mego logo. 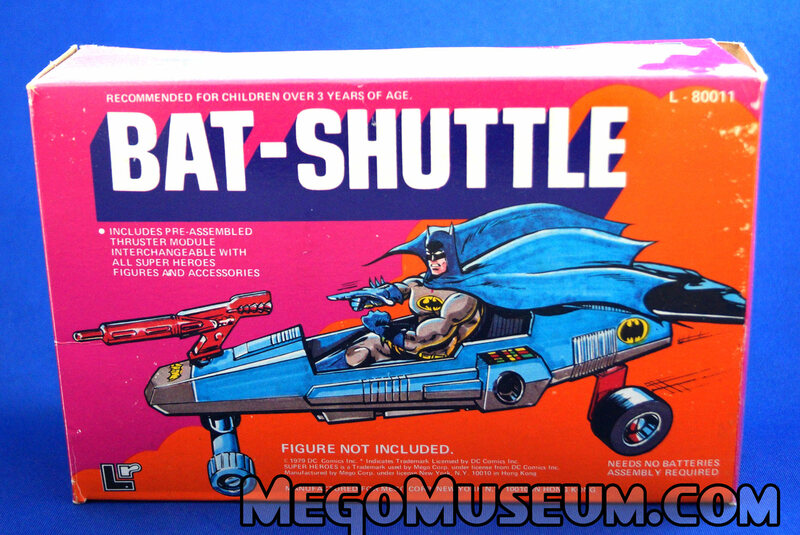 Mego chose to never feature these in a catalog either, it’s almost as if the company was trying to distance itself from the product. Mego did the same thing with the Johnny Action line of figures in the mid seventies when they placed the LionRock logo on them instead of their own brand. 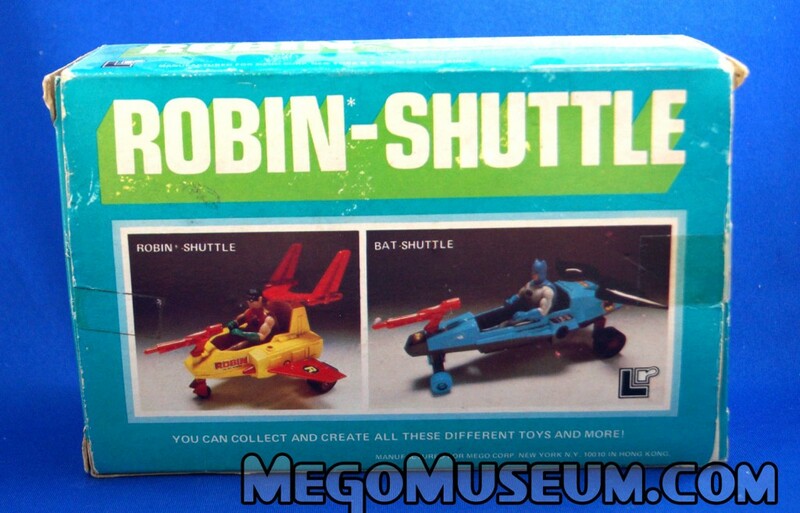 It’s been postulated that this was a clever way of selling unsold product, merely re-branding the packaging (which in the case of the US versions was actually printed in Canada) much like Mego did with the Star Defender for the Buck Rogers line. 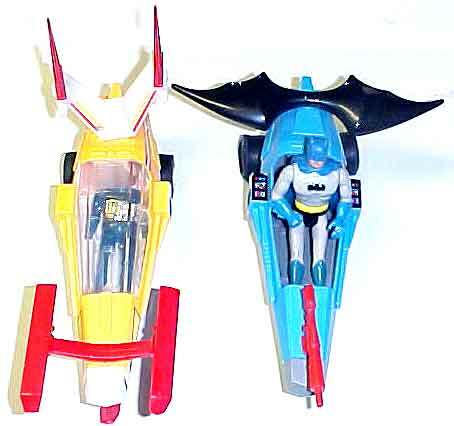 A comparison shot between the Bat Shuttle and the Micronauts Solarian shows the wonders a new paint job and a pair of repto wings can do. 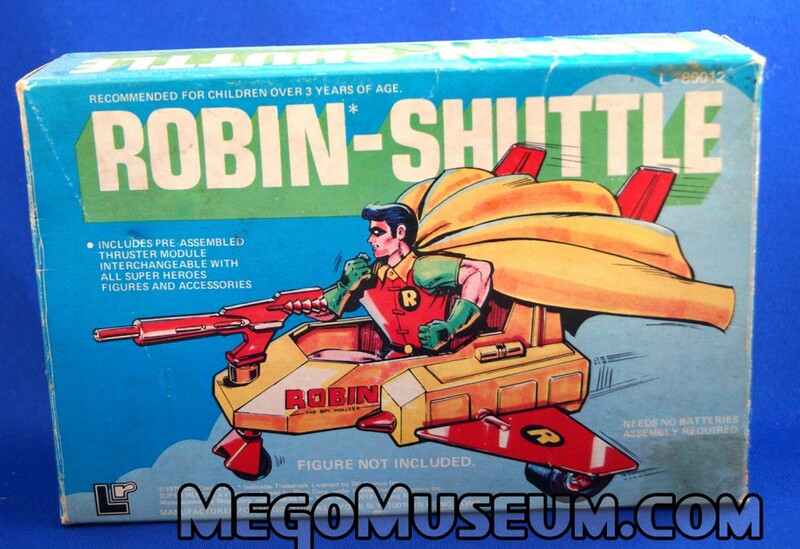 The Lion Rock Robin Shuttle is perhaps the most common in the series but it is still not an item that pops up too regularly. 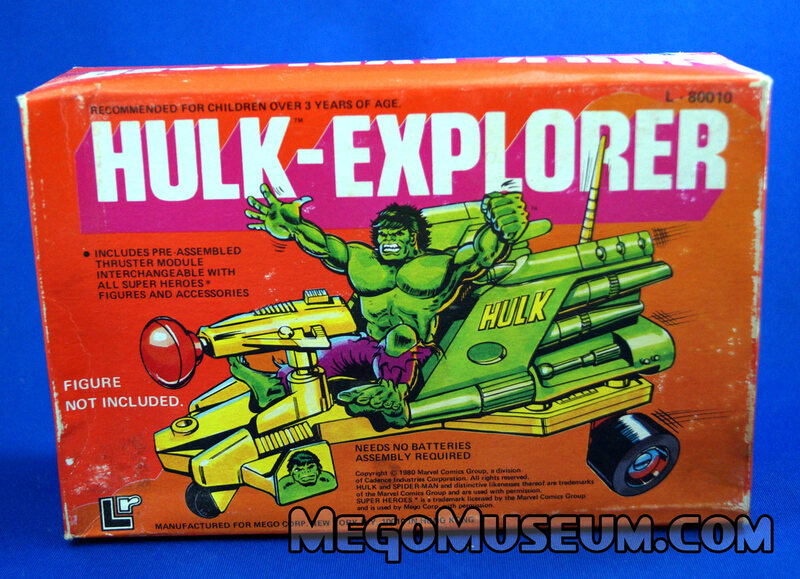 The Hulk Explorer, for some reason Mego declined to call one of these vehicles “The Super Mobile” and instead decided to give Hulk a vehicle. 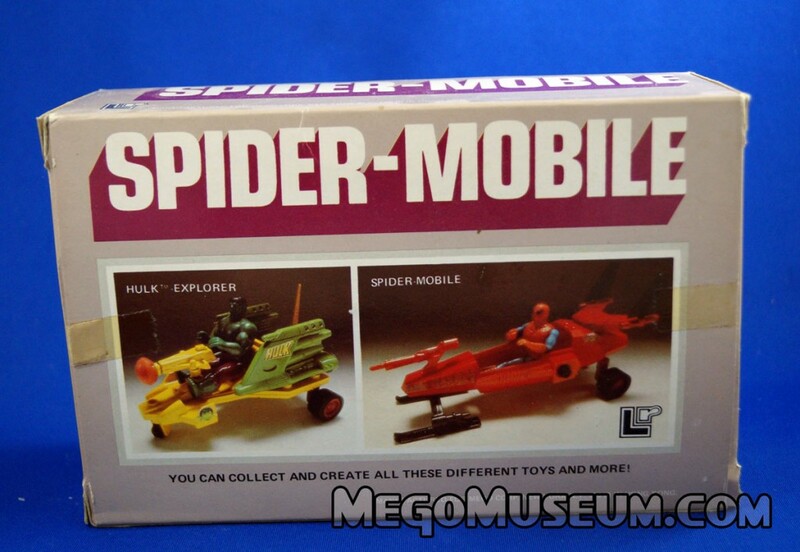 The Spider-Mobile is another clever repackaging of the Solarian. 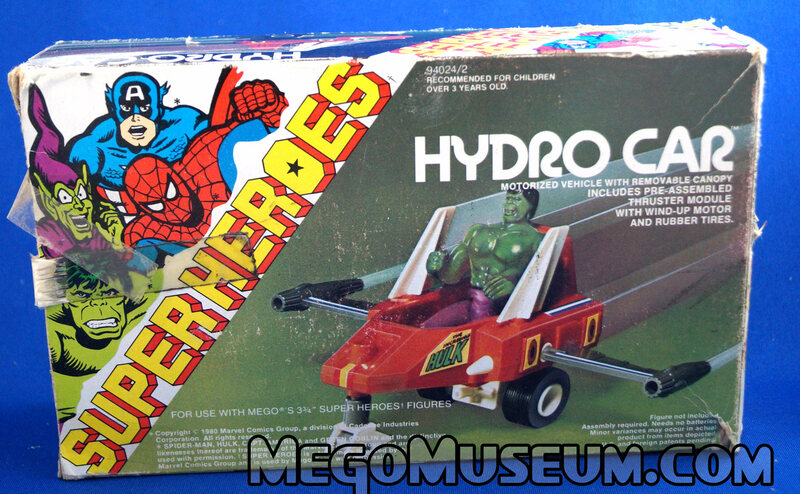 Hulk Hydro Car is just a repackaged Micronauts Vehicle with a Lion Rock box, a Toys R Us sticker seems to always be found with these items. Much like the Lion Rock Packaged Mad Monsters and Western Heroes, it seems Lion Rock was doing a clever repackaging of existing toy molds to drum up capital. 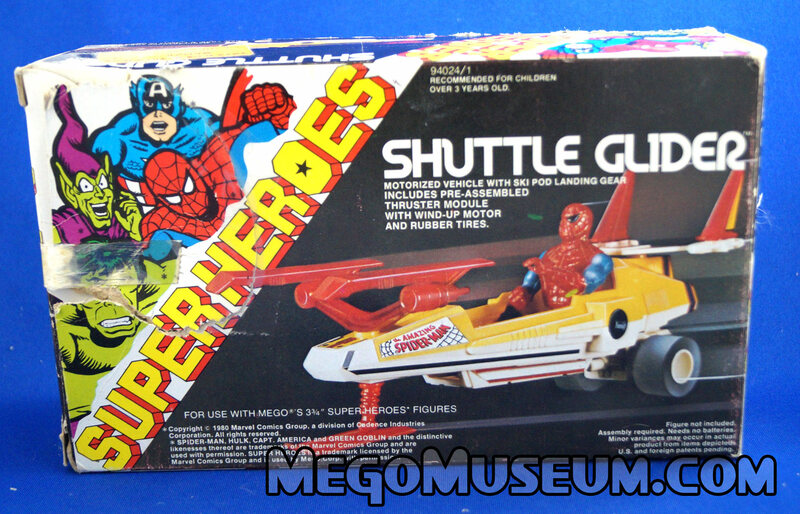 The Shuttle Glider is another mystery piece that says Superheroes (note the “Pocket” is taken off the logo for some reason) but nowhere mentions Spider-Man by name. 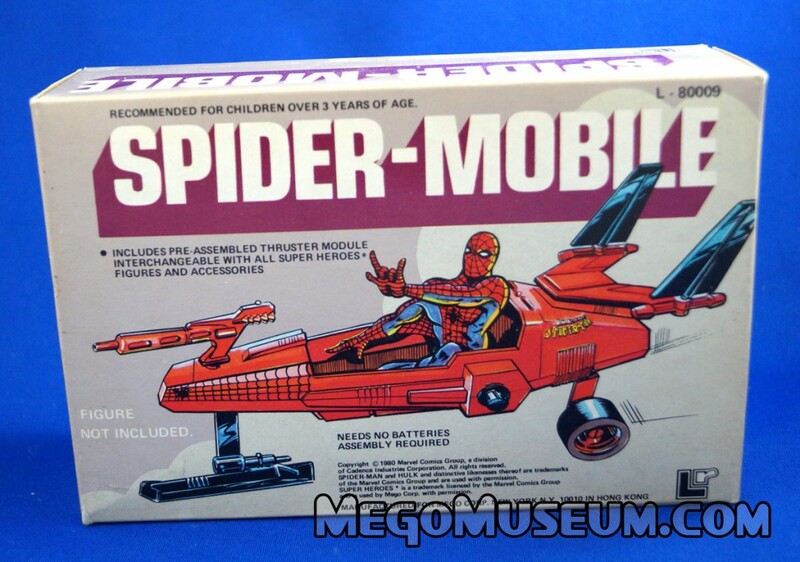 Some interesting facts about this piece, the Spider-Man sticker on the box is not included, it’s just standard Micronauts stickers but the instructions say “Superheroes”. It makes you wonder which line came first, were the photo boxes test market pieces or were the hero boxes foreign exclusives? 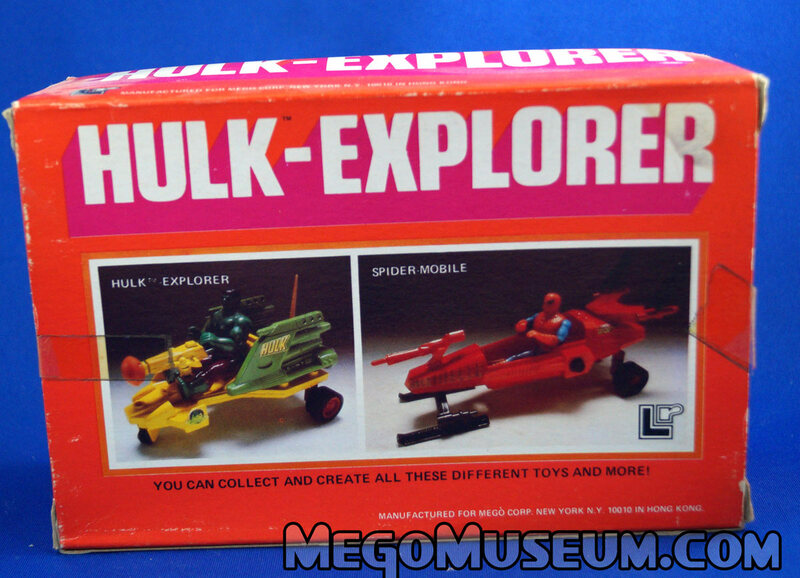 Why did Mego keep thier logo off the boxes considering they intended to use recycled Micronaut pieces such as Lobstros and Ampzilla for Pocket Superheroes anyway? Unsure if there is any significance to the price ending in a 6 like that.